So...I went to Westfield just after Pay day. Pay day = carried away. 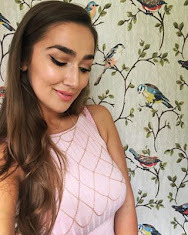 There was a parking deal on (such a geek) and it's not too far from me so I went there to find one of the near instinct Urban Decay counters (Debenhams in Westfield) and to go to Ted Baker to get the purse I wrote about in my 21st birthday post here. Obviously I ended up buying other things as you can see below! I treated myself to the Urban Decay Naked Skin foundation, Benefit Watt's up, Inglot Freedom System eye shadow palette and an Inglot nail enamel. I'm going to do a few different posts on what I bought so this one isn't a monster. I'll be giving my thoughts about my new foundation today. 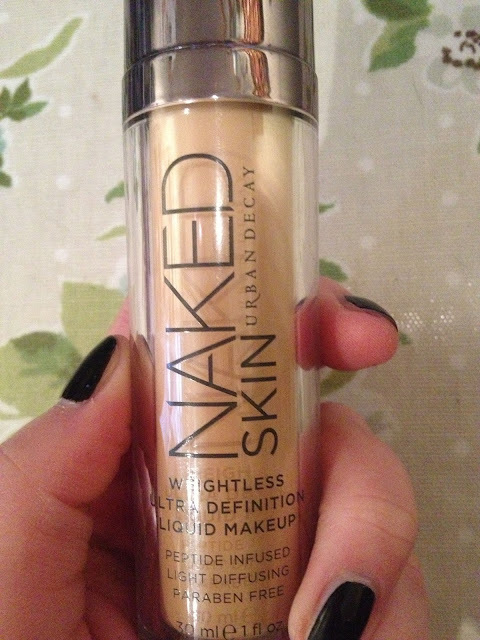 My priority of my Westfield trip was to buy a new foundation as I had been testing different brand samples and shades for months and had no luck finding the perfect combination of texture, coverage, staying power and colour for my skin until I tried a sample of Urban Decay's new Naked Skin foundation. I was roughly matched by the Urban Decay lady at home in Norwich with her colour card and she gave me a sample of 2.0 (fair with slight yellow undertone) and 3.0 (light with golden undertone). There are 18 different shades in the colour range going right the way from 0.5 to 12.0. The .5 shades have pink/rose undertones and the .0 shades have more neutral/yellow/golden undertones. I am wrongly matched with pink undertoned foundations too often because I do have sensitive and pink skin on my face but I of course want a foundation that neutralises this not matches it! I tried both samples but found the darker shade (3.0) a bit too dark for me now my tan has faded (very sad about this) and 2.0 was a teeny bit too pale but I figured I'm just going to get paler at this time of year and I like to warm up my foundation with bronzer anyway. Urban Decay describes the foundation as providing a "flawless ultra definition finish" and "natural radiance without shine." The coverage is buildable which I really like and I find this important because during the day I like to have clear radiant healthy looking skin but in the evening when I go out I like to build my coverage up without having to wear a different foundation all together. Another good thing about using this foundation in the evening is it has no SPF...meaning no ghost white faces in flash photographs, this may be a negative for many of you for day time but you can always use a moisturiser or primer with an SPF. The foundation contains Green Tea and Vitamin E, which claims to promote collagen production and contains Sodium Hyaluronate which apparently "holds and attracts water for optimal hydration, circulation and nutrient absorption for smooth, soft skin." All in all, the shade range is really good and I rarely find one that matches my skin as well as this one does, coverage is brilliant and buildable and it lasts for ages. I use a bit of powder (Rimmel Stay Matte) on top on my T-zone and chin but compared to other foundations I have tried it keeps the shine at bay and still allows the skin to look healthy and illuminated. I am really happy with it and definitely recommend it! 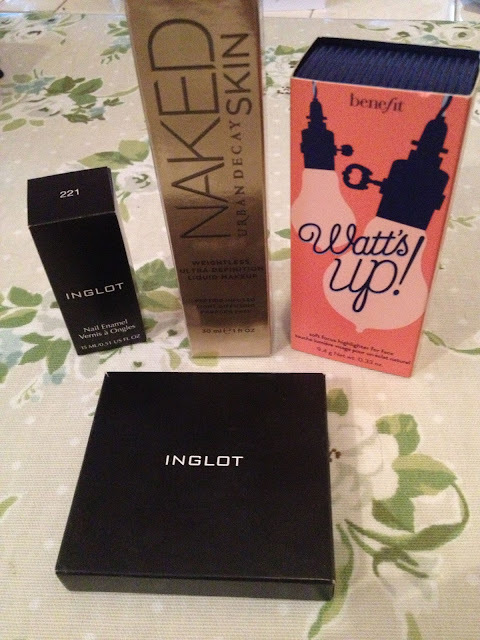 My other product reviews will be very soon :) Do you want to try this foundation or have you already tried it? What did you think? nice products *_* your blog is very good and interesting. im glad if you visit my blog, too <3 keep in touch! Yes, I actually would like to try this one, thanks for the tip!